All types of esophageal cancer surgeries can be performed either by conventional open method or robotic or laparoscopic method [VATS (Video Assisted Thoracoscopic Surgery) or Thoracoscopic Esophagectomy or Minimally Invasive Esophagectomy]. Robotic or Laproscopic cancer surgery has several advantages over conventional open surgery with same cure rate. Open surgery requires chest to be opened and is every painful for the patient. However, only surgery is curative treatment available for esophageal cancers. Additional therapies (chemotherapy & radiotherapy) are mostly supportive. With these advanced techniques the trauma to the patient is much less and this makes the treatment more acceptable. Chest need not be opened at all- No wound, no long term pain and discomfort. Breathe easy. Lung related problems (pneumonia) happen in 40-60% of traditional open cases. This risk is reduced by robotic and laparoscopic cancer surgery. The cancer clearance and lymph node dissection is better as vision quality is better (when done by experts). WHAT IS ESOPHAGUS CANCER(FOOD PIPE OR GULLET )? Indigestion and heartburn could be one of the earliest symptoms. Regurgitation or vomiting soon after eating. Endosopic examination of the esophagus and stomach provides the tissue sample for confirmation of the cancer. The definite stage of esophageal cancer can only be confirmed after surgery. At present surgery is the only treatment that can cure this cancer. Most of the treatment is planned based on CT scan or PET CT scan staging. These are cancers that are limited to the innermost layer (mucosa) and the layer just deep to it, but, not reaching the muscle layer. At this stage the cancer is usually not symptomatic. These are diagnosed mostly by chance (unless in a screening program). 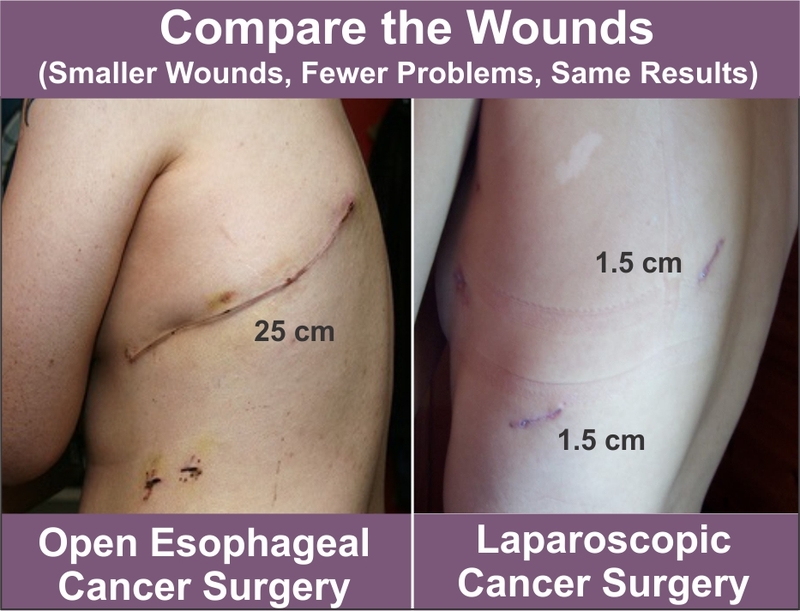 These treated with endoscopic surgery or esophagectomy depending on additional investigations. In patients most of these patients, surgery may be the initial treatment. Other option that is very often opted is to give chemotherapy with radiation therapy to the tumor followed by surgery. However, surgery is the only treatment that can cure this cancer. This increases the chance of cure, but, increases the risk of complications during and after surgery. The surgeon takes the decision based findings. Chemotherapy alone before surgery helps in some cases only. Stage III includes locally advanced cancers where the treatment can be surgery when it is possible. However, if some important structures like major blood vessels or heart is involved, surgery would not be possible. In these cases a combination of chemotherapy and radiotherapy is preferred. Stage IV is when the cancer is spread to other organs like liver and lung. At this stage disease is treated with chemotherapy or symptomatic and supportive care, as indicated. Cancers of esophagus in the region of neck and upper part of chest are usually treated with chemotherapy along with radiation. Surgery to cure esophageal cancer: The most common surgery performed to treat esophageal cancer is called esophagectomy (trans-thoracic esophagectomy, trans-hiatal esophagectomy, thoraco-abdominal esophagectomy, etc.) 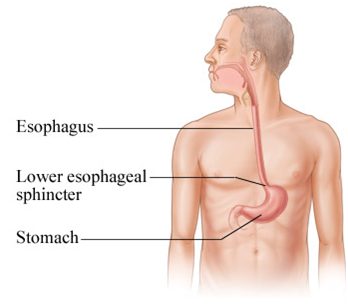 where the doctor removes the esophagus and then connects the remaining healthy part of the esophagus to the stomach so that the patient can swallow normally. The stomach or part of the intestine may sometimes be used to make the connection. The surgeon also removes lymph nodes around the esophagus. There are many ways in which esophagectomy can be performed based on the location of the tumor and the expertise of the surgeon. Team MACS uses a technique called VATS (Video Assisted Thoracoscopic Surgery) or Thoraco-laparoscopic Esophagectomy or Minimally Invasive Esophagectomy to give best results. Using a robot these surgeries can be performed with improved comfort. 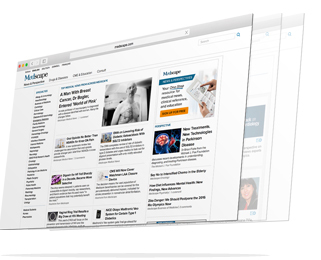 The details of the surgical options that are available for esophageal cancer are described on our professional page for esophageal cancer. Surgery for supportive care: When curative surgery is not feasible or is delayed due to chemotherapy or radiotherapy, surgery may be used to help patients eat and relieve the difficulty is swallowng. This is called supportive or palliative surgery. Feeding tube insertion (usually jejunostomy) done so that a person can receive nutrition directly into the stomach or intestine. This procedure can be combined with staging laparoscopy in case of tumors of lower esophagus or junction of stomach and esophagus. This may be done before chemotherapy and radiation therapy to make sure that the patient can eat enough food to maintain his or her weight and strength during treatment. Put an esophageal stent into the esophagus (SEMS). An esophageal stent is a metal, mesh device that is expanded to keep the esophagus open.